Jeep Wave is a membership program designed to bring Jeep owners greater peace of mind through 24/7 support, VIP treatment, free same-day rentals, and much more. You’re automatically enrolled in the program when you purchase a qualifying new Jeep vehicle from Wilsonville Jeep Ram near Sherwood and Tualatin. Read on to learn more about the Jeep Wave program benefits and eligible vehicles! What Are the Benefits of a Jeep Wave Membership? Jeep Brand Vehicle Owner Support: Get answers to your questions at any hour. Contact Jeep Wave member support at 844-JEEP-WAVE(533-7928) or correspond via live chat. Maintenance: Receive two complimentary oil changes and tire rotations every year for as long as you’re enrolled. VIP Treatment: Enjoy star treatment at Jeep brand events and participate in exclusive events and contests. Discounts: Receive up to $500 in yearly savings, thanks to discounts on merch from 150 retailers via the savings network. Free Same-Day Rental: Is your Jeep being serviced? No-charge same-day rental ensures you’re on time for work in Salem or coffee in Portland. Trip Interruption Coverage: If your Jeep breaks down during a trip, Jeep Wave can reimburse you for up to $1,000 (per occurrence) for accommodation, meals, and transportation. Which Jeep Vehicles Are Eligible? Learn More About Jeep Wave at Wilsonville Jeep Ram! Have additional questions about Jeep Wave? 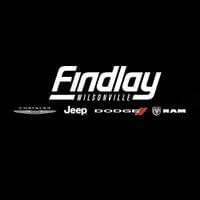 Contact us at Wilsonville Jeep Ram for answers, or to schedule a test drive with one of the eligible models listed above. We’re conveniently located near Salem and Woodburn. Our knowledgeable sales team will help you determine which Jeep model is right for you! 0 comment(s) so far on What is the Jeep Wave Program?